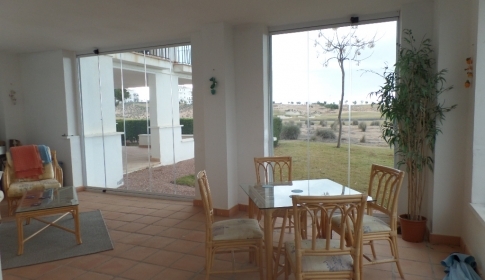 Luxury 2 Bedroom 1 Bathroom Apartment With Views Overlooking The Swimming Pool And Golf Course. 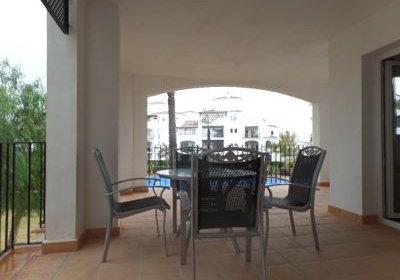 2 bedroom 2 bathroom apartment very close to all facilities. The Hacienda Bar, Restaurant and supermarket is just a 1 minute walk. The village of Sucina is just a 3 minute drive. Adriatico 26. 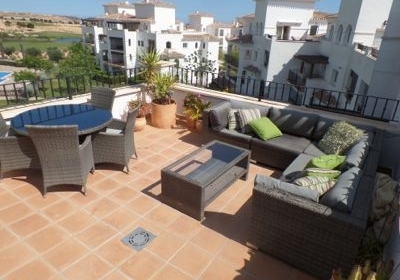 Fabulous 1st floor apartment overlooking the communal swimming pool. Close to all amenities. Adriatico 8. 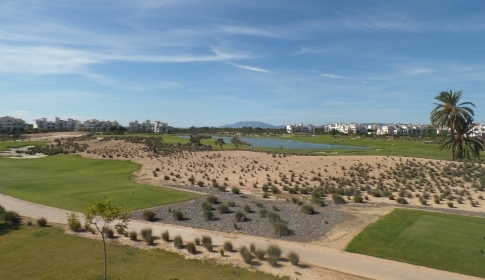 A luxury 2 bed 2nd floor apartment on the 5* Jack Nicklaus designed 18-hole golf resort. 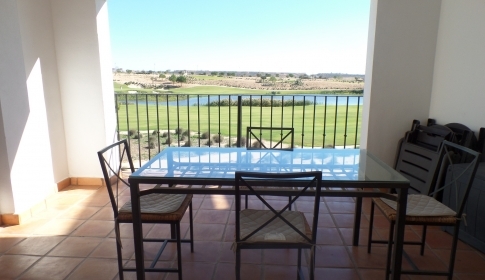 Adriatico 14. spacious two bedroom apartment in the superior Hacienda Riquelme golf resort located on the Costa Calida region of Spain.